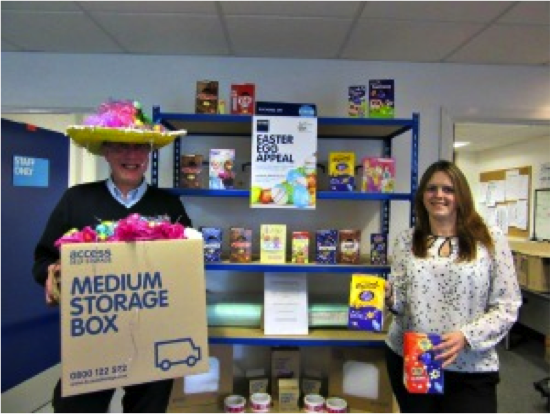 Every year the friendly staff at Access Self Storage collect baskets and baskets of chocolate eggs for a number of wonderful local charities to help their beneficiaries enjoy the Easter break. 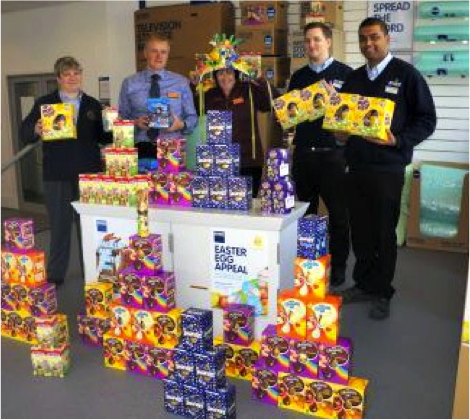 With nine Access stores participating in our 2015 Easter campaign, we decided to set the target high at 1000 eggs, in hope of beating last year’s record of 800. We also had the creative help of kind local florists to create beautiful, colourful Easter bonnets to donate to the charities along with the chocolate eggs. 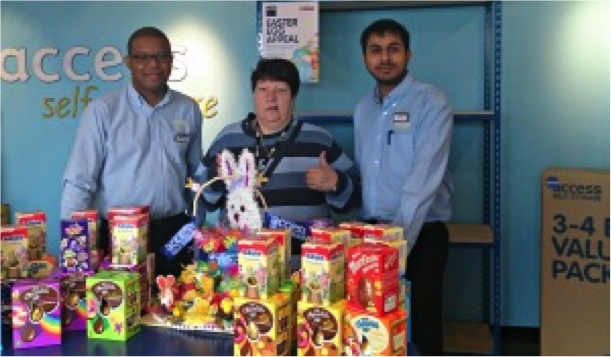 A special mention must go to the staff at the Coventry store for collecting the most chocolate eggs nationwide with a massive total of 141 eggs for the children visiting Tiny Tim’s Children’s Centre. Also, a big thank you to the generous florists who donated Easter bonnets- we are very grateful for the time and effort you spent making these wonderful gifts! Finally, we want to say a huge thank you to Access customers and the local communities that donated to the Access Self Storage Easter Appeal. 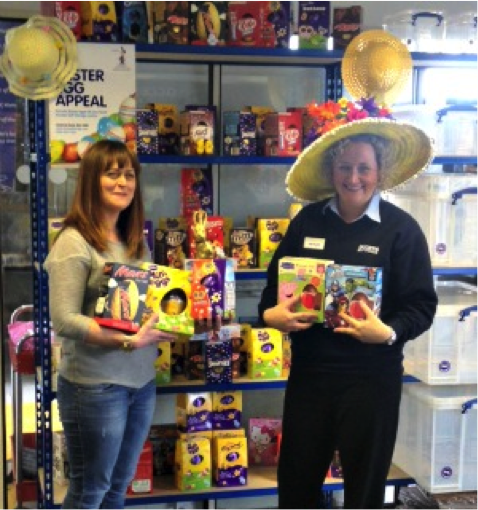 With your help we were able to collect an astonishing amount of eggs for the very deserving beneficiaries at each charity.